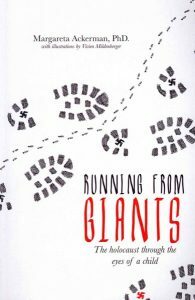 Running from Giants follows young Srulik from the idyllic memories of a childhood in the countryside to a confused world ruled by giants. The story is powerfully told, leaving just enough to the imagination. Book reviews are your chance to enter the chain of literary satisfaction! You can help others learn more about a book before committing to buy. You can warn people away from a book that may not be for them. You can help to get a book in front of an audience that would never have found it on their own. You can even help authors to improve their books.